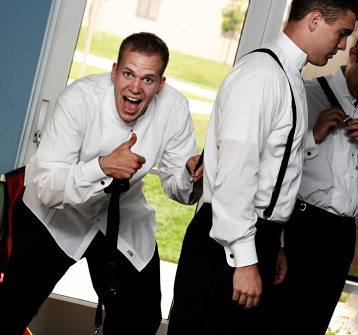 What guy doesn't love his beer? 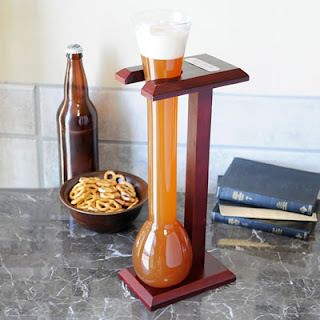 This Personalized Half Yard 32 oz Ale glass will bring the celebration to a whole new level (literally)!! Crafted of smoothly hand blown glass, the contoured silhouette of this half yarder looks beautiful inside its handsome, cherry wood stand and will easily be the toast of all future celebrations Not to mention, this one-of-a-kind gift can be personalized at absolutely no extra cost to you...making the dark stain of the wooden stand a flawless compliment to its engraved silver plate. For the avid cigar connoisseur, our convenient take-along Personalized Travel Cigar Holder lets them bring three (3) of their favorite cigars along with them. 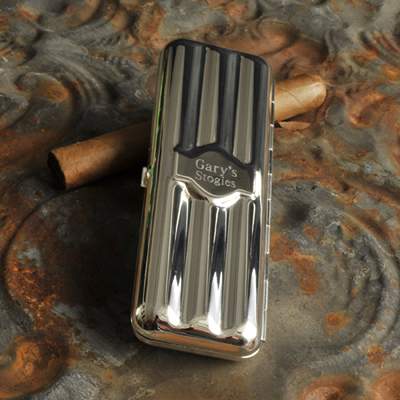 Designed to keep cigars at their finest, this silver-plated holder snaps firmly shut so cigars stay tucked inside. Golfers will love this!!! No more digging in your pockets for your ball marker. 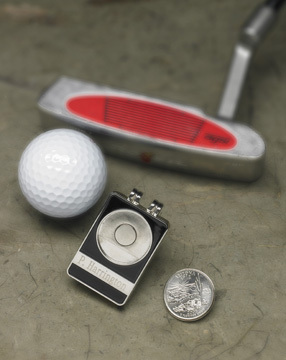 Our Personalized State Quarter Ball Marker/Belt Clip is a unique golf gift with style and personality. Constructed of sturdy stainless steel, the state quarter of your choice is permanently attached to a magnetic back that easily slips off the holder for easy marking with style. 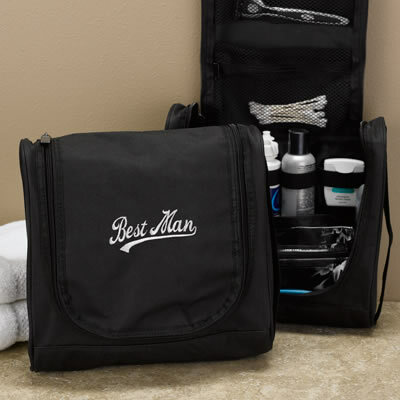 Perfect for a day on the links! 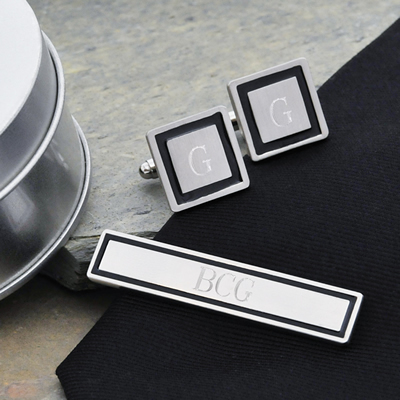 An ideal gift set for all the men on your list, our Black Border Designer Cuff Links & Tie Clip Set create a look that is equally distinguished by its style, as well as its refinement. Fashioned with a brass nickel base, these masculine accessories feature a sharp, black epoxy border trim, brushed finish and free personalization, making them a classic gift with a one of a kind look.